Cobo Center increased events booked from 166 to 244 and revenue from $5.5 million to $13.8 million from 2013 to 2018, Cobo General Manager Claude Molinari said. The center forecasts revenue of $14.25 million for this year. The increase in major events to Cobo Center has boosted operations revenue and contributed to a resurgence in vitality for downtown Detroit. Events such as the FIRST Robotics Championship, the NAACP, SME Rapid, the SAE World Congress Experience, and the National Society of Black Engineers are big meetings that bring big crowds and economic impact in 2019. "We've got a very strong 2019," said Molinari. "The facility has undergone a massive renovation and the city of Detroit — especially Midtown and downtown - has been revitalized." 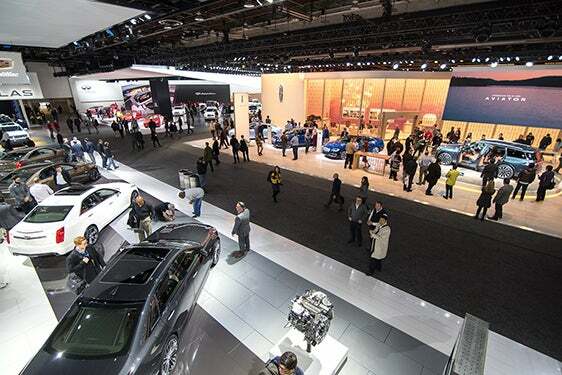 FIRST, which initially visited Detroit in 2018, is projected to bring 100,000 visitors this year. Another 8,000 are expected to attend the NAACP convention and 15,000 are turning out for NSBE. The NAACP hasn't held its convention in Detroit since 2007, while the NSBE hasn't met in the city since 1995.